The simple act of taking a journey by bus can help achieve half the Government recommended 30 minutes of exercise per day, according to a study released today. Commissioned by Greener Journeys, whose aim is to encourage more people to consider using buses, and conducted by Dr David Lewis (pic) of Mindlab International, the study investigated the health benefits of walking as part of the bus journey. The 100 participants recorded their steps with a pedometer when travelling the same journey by bus and by car. Steps were recorded ‘door to door’; to accurately compare distances walked to and from the bus or car as part of the journey. Data from the 424 journeys found that participants averaged a daily walking distance of nearly 1.3km when taking a return journey by bus (two trips), 2.5 times more than when taking the car. The study comes at a time when the Government now advises that short bursts of activity can add up to form the recommended 30 minutes, five times a week. “Taking the figures from our study, someone who travels by bus daily will walk almost 460km per year – that’s equivalent to walking 11 marathons. This would be of substantial benefit to the two thirds of British adults who, according to the 2010 Health Survey, do not achieve the recommended levels of exercise”. Dr Lewis stresses that while these seem like large numbers, they comprise of short bursts of regular exercise that can be easily incorporated into a normal routine especially as 87% of households in Great Britain are within a 6 minute walk of a bus stop. “Too often people spend hundreds of pounds on gym memberships that they give up on after a month. They’re not used to scheduling exercise and it feels like a chore or event that they can’t fit into their busy lives,” he said. “This Greener Journeys study clearly demonstrates that using the bus instead of the car could enhance both personal and national wellbeing,” he said. When participants of the study were surveyed about their experience, almost half said they would change the way they travel to use the bus more often, citing the chance to take more exercise and the ease of catching the bus as the biggest reasons. Claire Haigh of Greener Journeys said the chance to exercise and burn calories may be a tipping point for commuters who are already concerned about the high levels of CO2 pollution produced by cars – often occupied by the driver only. “It’s not just health and the environment that will benefit. Inactivity is conservatively estimated to cost the economy ?10 billion per year* and active travel – that includes walking – has the potential to reduce these costs substantially,” she said. Greener Journeys, is a coalition of the UK’s major bus companies, which has an ambition to shift a billion car journeys to the bus by 2014. This can be achieved if one in 25 car journeys are switched to the bus and will save 2 million tonnes of CO2. 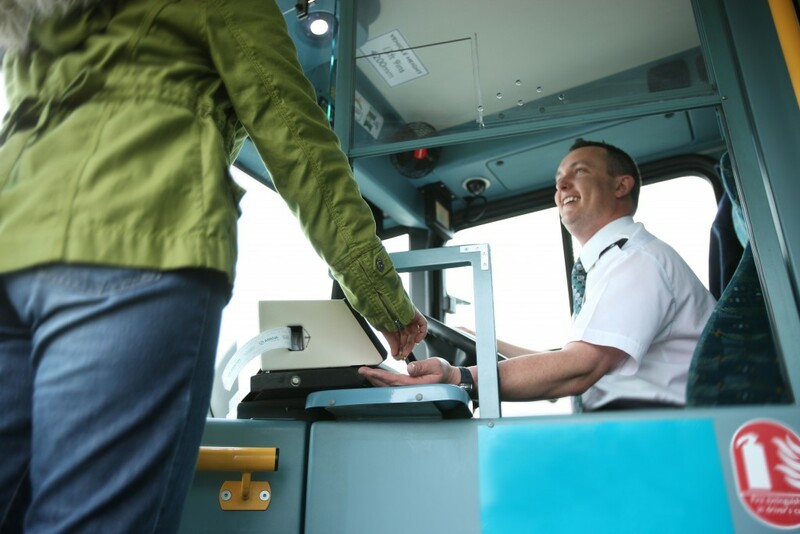 In 2010, Greener Journeys commissioned an experiment that examined stress levels of driving versus taking the bus, and found that taking the bus was a third less stressful than driving. Greener Journeys is working with government and local authorities to accelerate the adoption of a range of pro bus and coach policies that will make it easier for people to make sustainable transport choices. It is calling on central government to protect BSOG from further cuts; local government to provide adequate road space for bus use and apply sustainable principles to land use planning policy; and HM Treasury to give incentives to consumers to travel by bus e.g. allow bus season tickets and travel cards to be paid for out of people?s pre tax income and to encourage salary sacrifice schemes. Participants were sourced from all areas of the UK and split into the following regions: England: North West, North East, South West, South East, London, Midlands and Scotland, Northern Ireland and Wales with a minimum of 40 journeys recorded from each region. Participants were sent guidelines and a pedometer. They had to monitor and record the steps taken during a journey which involved using a car, and the same journey using a bus. This included recording steps to the vehicle from the starting point and walking to the destination from the vehicle at the other end of the journey. Participants were instructed to take regular day to day journeys such as to/from work or school and were asked to take at least two journeys using each mode of transport. The pedometer data, and personal data such as gender, weight and height was used to calculate distance walked which in turn was used to estimate calories burned on the journey. This figure was then averaged over all participants to give an estimation of the amount of calories burned during bus journeys compared to car journeys.